Today was the New York City Running Show. Today JackRabbit Sports announced the six finalists in its Run For The Rabbit campaign. Today, JackRabbit announced that I am one of those six finalists. I am beyond thrilled and honored to have been selected as a finalist in this exciting venture. I can’t thank everyone enough for all the love, well wishes, support and crossed fingers during this very long selection process. The press conference today was so exciting. The other five finalists and I were joined on stage by our coach, Jon Cane. Jon is going to be so amazing to work with and I can’t wait to get started training with him. He’s coached so many successful runners and now I get to let all of his knowledge and experience help me get to the start and finish lines at the Hamptons Marathon on September 24. Lee Silverman, the owner of JackRabbit (who, by the way, is so nice and so knowledgeable), introduced the Run For The Rabbit initiative, then they showed a montage video that features the six contestants. After that we each spoke for a minute about ourselves, our running history and our causes. It was so exciting to get to speak with a live audience and to explain why I’m so passionate about finding a cure for Crohn’s Disease & Ulcerative Colitis. I have to run a marathon. 26.2 miles. I’ve run four half marathons, but through RFTR I’ll be training to complete the Hamptons Marathon on September 24. I’m excited, but also terrified. 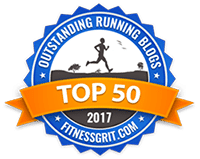 I read so many blogs from marathoners who are out on the weekends doing their 15-20 mile training runs. I can’t believe I’m about to be one of those people. I get a running coach. Coach Cane is going to be guiding me throughout the training process. He’s going to give me a training plan and work with me to make sure my body stays healthy and I work hard. I can already tell he’s not going to let me slack off, even on the hard days! JackRabbit hooks me up. I probably wouldn’t have applied for this competition for any other store (Well…Does J.Crew do running competitions? Or The Container Store? ), but JackRabbit has always been my go-to store for running gear. It’s where I bought my first pair of real running shoes, and it’s where I attended an info session when I signed up for Team Challenge! The JackRabbit staff is so smart and experienced and I totally trust them when it comes to fitting me for shoes and getting me everything I need for training. I raise money for the Crohn’s & Colitis Foundation of America. This is where the game becomes a competition. I’m competing against the five other finalists to raise the most money for my charity. I’ll of course be writing more about why CCFA is my charity of choice, but the short story is that I have Crohn’s Disease, my brother has Crohn’s Disease and tons of other people I know and love have the disease as well. Also, there’s no cure. It’s total BS. My goal is to raise money throughout my training that will go directly to research that will help find a cure for these autoimmune diseases. My personal web page will be up on the JackRabbit site soon, so stay tuned. I’ll be Facebooking, Tweeting, blogging here and on the RFTR site and, of course, constantly brainstorming fundraising ideas. I want to go big with this one! If I can run a marathon, surely some geniuses can find a cure for some crappy (pun totally intended) diseases. Click here for a great article on the New York Daily News blog introducing all of the finalists. Thank you again for all of the fabulous support. I’m so excited to get started. 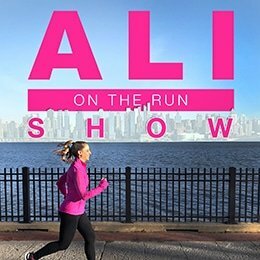 44 Responses to "I’m Running For The Rabbit"
Wow, Ali, what an amazing thing you are a part of. That seems like an amazing opportunity for you, and you are obviously the perfect person for them. I just went and read your story that you linked to about Crohn’s and it was so moving. You are SO incredibly inspiring that you can deal with that and yet be such a positive, sweet, confident, and go-getter person. You will be an amazing role model for other young women with the disease, and I am sure you will do a great job with your marathon training, fundraising and raising awareness! SO happy for you, Ali! Ali, this is incredible. I am so happy that you were chosen! I think you are going to fabulous because Crohn’s Disease is SO close to your heart! Best of luck with your training and fundraising. 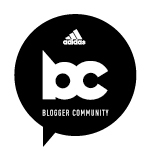 All of your faithful blog readers will be right here with your every step of the way! YESSSSSSS this is so fantastic!!! Mazel tov!! I am insanely happy for you. I will be honest, I didn’t pay much attention to the details of this contest until today so I didn’t know about all the awesome things you get from it. A marathon — YAY! This is such an amazing opportunity for you and it could not have come at a better time (much like my Core Fusion opportunity came to me at the perfect time). I am so excited to follow your progress. I know you will be amazing!!! Will you run both Hamptons and NYC (if you get in, obv)? CONGRATS! i’m excited for you! you totally deserve it! i can’t wait to hear all about your journey! CONGRATS!!!!!!! This is SUPER exciting!!! You’re gonna rock this thing!! I knew you would be picked! I just had a feeling… 🙂 And how perfect — you said you were wanting to run a full marathon, and now you get to! Congrats!!! That is such an awesome opportunity. And you’re running a marathon!!! aaaaah, that’s going to be so exciting! Yay! I am so glad you were chosen!!! You are going to rock that marathon!!! I am so looking forward to following your posts while you are training! I am sooo excited for you!! I saw this today, and thought of you, since I know you love this song. congrats that is so awesome girlie! SO FREAKING FUN AND AWESOME! Woohoo, congrats! I wasn’t sure what the program was all about until I read this post, but it sounds like an amazing opportunity. Good luck training – you’ll rock that Hamptons race! This is the most amazing opportunity! You earned your spot as a finalist and you totally deserve it. I cannot even express how life-changing the whole journey will be for you! I’m SO EXCITED to follow you as you train for the Hamptons Marathon! Once a marathoner, always a marathoner. I’m so excited for you! I can’t wait to read about your journey to the marathon! Just wanted to tell you again that you’re awesome and this is so well-deserved. I’m glad JackRabbit was smart and chose you. dudeski. i am SO unbelievably excited for you. your face + your passion for the cause + your rockstar running= jack rabbit would have been silly not to pick you and I’m so very glad they did. that’s so awesome! i’ve seen the commercials about run for the rabbit on TV. seems like such a cool thing to be a part of! rock on! AWESOME! This is going to be so much fun to follow! YAY! Such AWESOME news! I hope your fundraising brings us one step closer to finding a cure for our yucko disease! So proud of you, seriously, you are AMAZING! And I’m so glad us Crohnies have someone on our side like you helping to promote awareness and help in finding a cure. GO ALI!! I love the video! Congrats again, Ali!! Congratulations Ali!! This is amazing! JackRabbit made an excellent decision 🙂 I’m so excited for you and I can’t wait to follow along as you train for your first marathon. And what a way to train!! I hope you enjoy every step of this journey. This is an amazing opportunity!! I am so excited for you…especially the part about getting to raise money for a charity so dear to your heart. I think I mentioned once before to you that my friend has colitis and a few years back ended up going for surgery and is so much happier/better quality of life, etc. I grew up watching her deal with it and it’s an incredibly tough thing to deal with so given what I’ve seen through her, I’m amazed at what you’ve accomplished so far. You will do great with this next challenge, I am sure of it! I’m just catching up on my blog reading and am so glad I read this! Congratulations!! This is so fantastic – and you totally deserve it. I can’t wait to hear more about it! Ali…I follow your blog and I LOVE it. I am even more exciting because we will both be training for a marathon at the same time. I am running the St. Louis Marathon in October. It will be awesome to read about your experience. When do you start training? I start next Monday…crazy! Good luck training! Hey Ali – congratulations! This is so exciting!! I started running when I joined the DC Team Challenge team last year. I went back as a mentor and definitely caught the running bug. That is so great that you are continuing to raise money for CCFA! Anyway – just want to say keep up the good work, love your blog!